As one of our Senior Outpatient Physiotherapists, Marty has extensive skills and experience in musculoskeletal and sports physiotherapy. He also brings a wealth of skills for patients from his experience from inpatient hospital treatment, and provides continued follow-up treatment for hospital patients once they are home and able to visit our outpatient clinic. Marty is a tremendous asset to our team, using his wide skill base and calm, compassionate manner to provide both outpatient and inpatient physiotherapy services. Marty is the Hospitals Manager for Active’s Hospital Services at the Mater Private Hospital Brisbane, Mater Private Hospital Springfield and Brisbane Private Hospital. Marty oversees all of the management of our physiotherapy services for hospital inpatients, coordinating a large team of physiotherapists across seven days a week and 24 hours on-call. He is a mentor to our physiotherapists and has had a large role as a Clinical Educator for physiotherapy students. 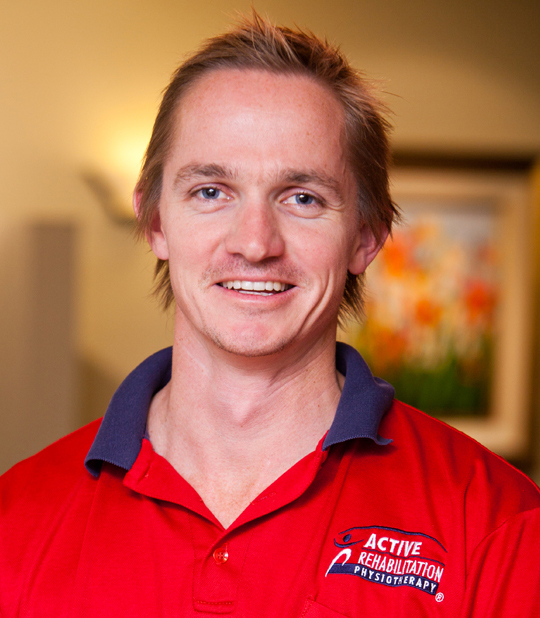 Marty graduated with a Masters of Physiotherapy Studies from the University of Queensland. Prior to this he gained a Bachelor of Applied Science – Exercise Science with Honours, also from the University of Queensland. In his spare time, Marty is an active member of the Miami Beach Surf Life Saving Club and Pat Carroll Running Club. He enjoys competing in triathlons, running, cycling and cooking. He has also turned his hand to bee keeping and olive growing. Not sure where to start ? At Active Rehabilitation Physiotherapy we provide a wide range of services to help you achieve your health & fitness goals. Please enquire using the form below.